Why Choose The House Plan Shop? Once you have made the awesome decision to build a new home, it is time to choose a house plan. The HousePlanShop is a premier house plan provider offering a multitude of designs created by home plan designers and architects from all over the USA and Canada. Utilize the advanced search to narrow your house plan choices by architectural style, square footage, number of levels, and/or number bedrooms and bathrooms you desire. Save your favorites and come back later for further comparison and consideration. 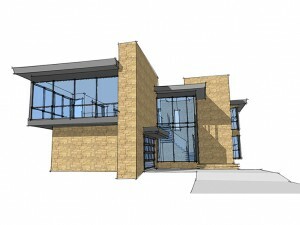 Some designs even include photos of completed homes to help visualize your very new house. Spend as much time as you want contemplating and musing over hundreds of plans, all from the comfort of your home computer. 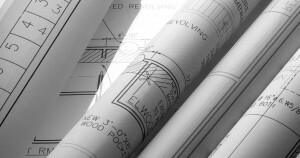 Available blueprint packages and prices are listed on each respective house plan page. Should you find a design you like but it’s not quite perfect, submit a modification request for a free quote to modify the plan to suit your needs. If you prefer to start from scratch, a custom design service is available. Even if you are already settled in your forever home, The HousePlanShop has much to offer. Consider designs for a vacation home, whether the destination is the mountains or the sea. Rental property provides additional income and this website offers a variety of duplexes and multi-family plans. Please take some time to browse the designs at www.TheHousePlanShop.com and take advantage of its many treasures. If you’ve decided to build a new house, you’ve probably already realized there a many things to consider before you begin from buying a lot and choosing a builder to selecting convenient floor plan features and securing a loan. 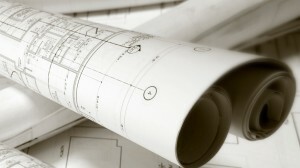 Determining the size of your new house plan is one of the any things you’ll want to think about. Take some time to consider your lifestyle, as well as needs and wants in order to determine the size home you’ll need and the kinds of spaces you’ll want to include in your floor plan. This list will help you consider some of the key factors in many homebuyers’ decisions when it comes to choosing the right-sized home. How many people will live in the home? How many bedrooms and bathrooms will you need? Do you have an aging parent or another relative living with you? Will the kids share bedrooms or will each child have his or her own? If you are not married or do not have children at the present time, consider the future. Retirees and empty-nesters many consider walk-in showers and handicap accessible features in the master bath and perhaps even in another bath on the main level of the home. Are you retried and plan on the kids and grandkids coming home for the holidays? How will you accommodate them? Bedrooms? Pull-out couches in the family room and recreation room? Convert the office to a guest room? Do you plan to entertain regularly? Will you need a formal dining room for holiday meals or can you get by with a casual dining space and a snack bar? Do you prefer formal entertainment spaces or will a spacious family room or great room that opens to the kitchen and breakfast nook satisfy your entertainment needs? Would you like to have an outdoor entertainment/relaxation space such as a screened porch, deck, covered patio or lanai? What kind or relaxation spaces do you need? Can you make do with the family room or do you want a recreation room, game room, home theater or finished basement? Think about hobbies. Do you play the piano? Will you need a separate space for the piano such as a music room or will the piano fit nicely in the living room? Do you need a sewing room? Are you a DIY guy who wants your own workshop or are you a car enthusiast who will need an oversized garage with plenty of storage space for auto parts and tools? How much storage space will you need? Consider bedroom closets, linen closets and other storage spaces in the mud room, utility room, garage, basement, etc. What organizational features do you need? Do you want a drop zone with lockers or cubbies in the mud room? Do you need a kitchen island, a built-in hutch or a meal planning desk? Would you like built-in display niches or a built-in entertainment center in the great room? Would window seats with storage in the bedrooms be useful? Consider specialized spaces. Will you need a private/quiet space such as a home office in order to work from home, meet with clients or pay bills online? Do you need a playroom for the kids? Consider flexible spaces. What may work well as a nursery when raising a family can one day convert to a home office or even a guest bedroom in the future. Flexible spaces are wonderful assets to any home because they can flex and change as your lifestyle changes. What flexible spaces would benefit you? Think about future spaces. You may not need extra space for your current lifestyle, but it is worth considering floor plans that offer unfinished basements and future/bonus rooms that can be finished later. These spaces are a great way to add living space to your home should your lifestyle change and demand it in the future. If you are single, you may not need much space at all. There are many simple floor plans that offer just the basics. Can you live comfortably with the basics? If so, you may not need to consider any of the special spaces and features mentioned above. House plans come in all shapes and sizes. There are plenty of large homes that are suitable for large and growing families including two-story house plans and those with finished basements. There are also plenty of smaller homes for singles and couples. And there is even a vast array of floor plans designed for retirees and empty-nesters looking to downsize. Whatever phase of life you’re in right now, there is sure to be a right-sized home plan to satisfy your needs. Take some time to browse our house plans collections for find the right home design for you! When it comes to building a new home, the building process begins long before you break ground and pour the foundation. Discover six things you should do to prepare for your new home before construction begins. Decide on the type of home. People build homes for all types of reasons – family home, stepping up from a starter home, downsizing to an empty-nester, vacation home, rental property, weekend retreat, etc. Determine what type of home you plan to build. Determine your budget. Think about how much you can afford to spend on your new home and how much your new home will cost. Start checking with lenders to find out what size construction loan and mortgage you’re qualified to obtain. Knowing how much money you’ll be able to borrow and the likely cost of your new home will help you plan your building budget. Once you know what you can spend, you’ll have to determine how much of your budget can be spent on the lot and how much of your budget can be spent on construction, materials, etc. Select a lot. Regardless if you plan to build in a neighborhood, on mountainside or along a country road, it is often best to choose your lot before you select a house plan. You’ll have to consider the parameters of the lot such as the maximum width and depth, the grade of the lot, physical features on the lot, etc. when choosing your floor plan. Knowing the “lay of the land” will help you select a floor plan that best suits your needs and fits the lot. Additionally, you and your team of pros will need to study factors about the lot such as zoning, drainage, soil conditions and building codes specified for the community as well as geographic and climactic requirements. Choose a house plan. Make a list of needs and wants for your future home such as total finished square footage, number of bedrooms and baths, special rooms such as an office, convenient features like a kitchen island/snack bar, the width and depth of your lot, preferred architectural style and the type of foundation you’ll need. Now search pre-drawn house plan collections like those found at www.TheHousePlanShop.com to narrow your selection. Most websites have a search tool to make it easy to eliminate floor plans that do not offer your specified criteria. Keep in mind pre-draw/stock home plans can often be modified with the help of a modification team, local residential designer or even your builder. If you find a floor plan you like, but it isn’t quite what you need, discuss your minor modifications with your builder or contact the supplier of the house plan to see if they can make modifications for you. At The HousePlanShop, LLC, we offer a modification service by which you can obtain a free quote for your changes before you purchase plans giving you an opportunity to learn how much things will cost before you make your final decision on a floor plan. Draw up a contract. After you’ve determined your budget, selected a team of professionals, chosen a lot and purchased a house plan, you’ll need to draw up a construction contract. The contract should be written and signed and dated by you and your general contractor/builder. The construction contract will describe the construction of the home in detail and list all parts of the home to be included. If you or your builder make any changes to the project scope, it is necessary that you amend the contract. Keeping a written record of the scope of the construction project will help you as the home owner know what things have been completed, what still needs to be done and if any problems need to be resolved. Following this list steps to complete before you break ground for your new home will help ensure your home building project gets off to a good start. To find out specific information about each one of these elements, please review The House Plan Shop’s FAQs. Note: Not all pre-drawn home plans incorporate every element listed here. Blueprint pages vary by designer. If you are interested in building with contemporary house plans or modern house plans, it is important to be familiar with what these home plans offer. Modern and contemporary designs divert from the traditional and familiar home plan styles prominent along most of today’s roads and streets. They offer unique and unusual designs greatly contrasting the “cookie cutter” houses in many North American neighborhoods. Before you can choose the right contemporary house plan to suit your needs and tastes, it is important to understand modern house designs. Most of these trendy floor plans include some if not all of the following elements. Modern and contemporary house plans are widely available through various home plan websites and companies such as The House Plan Shop. At www.thehouseplanshop.com potential modern house plan buyers can shop for the home size and features they need using the advanced search tool. Entering preferred criteria such as foundation type, square footage, number of bedrooms and baths, and special features like split bedrooms or a covered porch make it easy to narrow your search for a modern or contemporary house plan that will accommodate your needs and desires. If you are planning to build a modern home, take some time to browse The House Plan Shop’s collection of contemporary house plans.